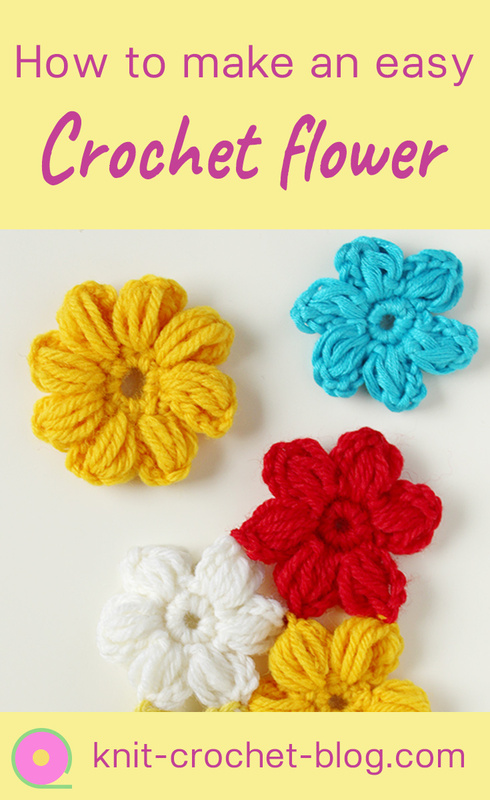 Crocheting this quick, beautiful and versatile flower has been one of the most popular posts in my old blogs. I now updated it to include both a 6-petal and 8-petal flower and instructions for joining them. 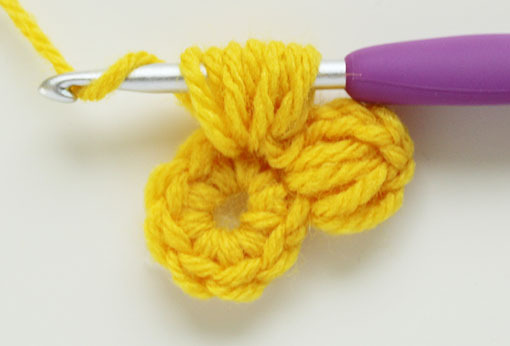 I made a video, showing in detail how to crochet the flower. 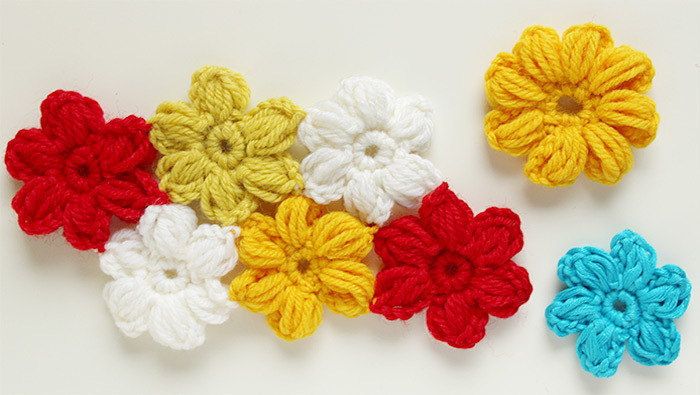 These flowers look great used as appliqué. 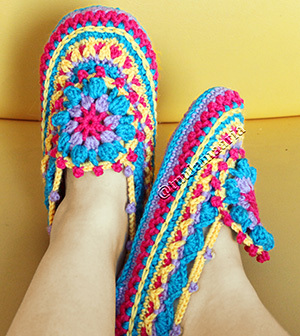 You can sew them on crocheted or knitted items like hats, cardigans or bags or even on jeans pockets. 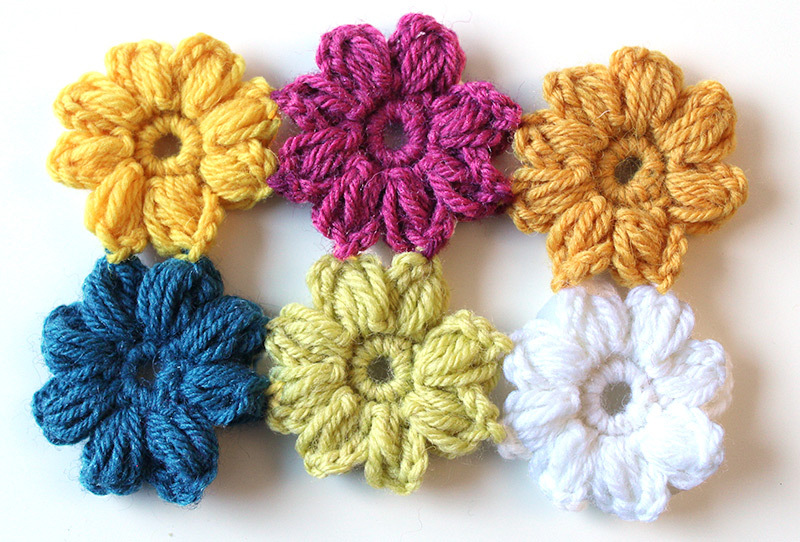 I have used similar flowers for a baby cardigan, you can see the cardigan image here. 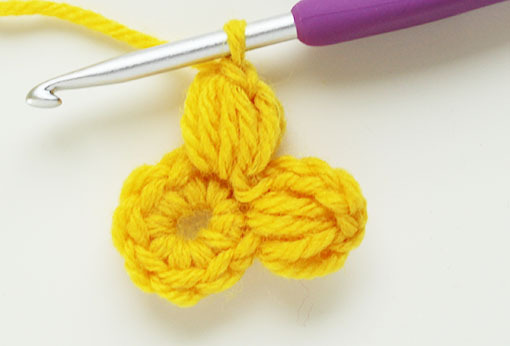 Flowers with 6 petals get joined diagonally. You see this in the image at the start of this page. 8-petal flowers form straight rows when joined. I love these little ‘puffy’ flowers! Thanks so much for sharing your tutorial of them here!